Lisa Vanderpump Blocks Kyle Richards Phone Calls After Bitter Betrayal! Kyle Richards has “made an effort” to fix the bad blood with The Real Housewives of Beverly Hills co-star, Lisa Vanderpump, amid their bitter friendship fallout. 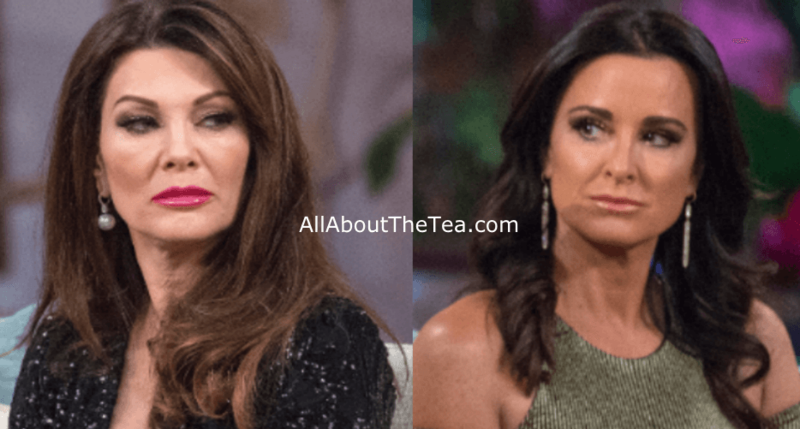 Kyle, 49, recently revealed that she has reached out to the restauranteur — however, Lisa Vanderpump is not responding to her former friend. “I have made an effort. Emails and text messages and, you know, I don’t know what else to do. As far as I’m concerned, the ball is in her court … I don’t want to get myself in trouble here.” Kyle Richards told US Weekly. She also addressed a rumor that suggests the Real Housewives of Beverly Hills cast “iced out” Lisa Vanderpump by ditching her annual Vanderpump Dogs Foundation gala on November 15. Kyle asserts that she wasn’t invited to the charity event this year. Kyle Richards and Vanderpump’s husband got into a nasty screaming match during a party at the couple’s home. As reported, Lisa Vanderpump has been the target of bullying and harassment from her fellow Real Housewives of Beverly Hills cast members. Dorit Kemsley and Lisa Vanderpump’s friendship crumbled after Dorit adopted a dog from Lisa Vanderpump’s rescue organization, Vanderpump Dog Foundation, and then returned it to a shelter, infuriating Vanderpump and causing a major rift. But the pup bit Dorit’s son, Phoenix, forcing the mom to give it to another family, who in turn, took the dog to a shelter. Lisa Vanderpump discussed her castmates’ decision not to attend her Vanderpump Dog Foundation gala during a recent appearance on CBS’s The Talk and called their actions “disappointing.” Press play to watch below. The Real Housewives of Beverly Hills is scheduled to return in early 2019. Dorit Kemsley’s Former Business Partner Ryan Horne Exposes Her LIES & Wants Judge to Dismiss Countersuit!